Just as energy, moisture and momentum are transferred throughout the climate system (section 1.2.5), greenhouse gases are cycled through the various components that make up the global biogeochemical system. As for all systems and subsystems in equilibrium, the fluxes of the different greenhouse gases must balance. For the atmospheric component, this means that the sources of greenhouse gases must equal the sinks of greenhouse gases. Similarly, in/out fluxes for the other components of the system will balance. The global biogeochemical system, like the climate system, is in a dynamic equilibrium, in which fluxes of greenhouse gases respond to forcing perturbations. If a source of a particular greenhouse gas into a particular component of the system increases, the concentration of that greenhouse gas in that component will rise in order to re-establish equilibrium, by increasing the sink outlet of the gas. 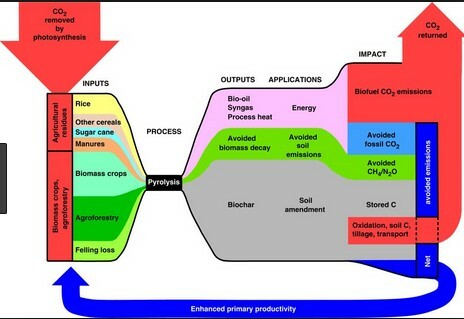 Over time, the biogeochemical system continually adjusts to many forcing perturbations involving many mechanisms over a wide range of time scales. For example, an increase in plate tectonic activity will enhance the outgassing of carbon dioxide, with a consequent rise in the concentration of the gas in the atmosphere, over time scales involving tens of millions of years (section 2.6.2). Similarly, changes in ocean temperature, productivity and circulation can affect the removal of CO2 from the atmosphere over centuries to millennia (section 5.3.1.2). Clearly, since greenhouse gases affect the radiative balance of the climate system, their global biogeochemical cycles are intimately linked to the causes of climate change. 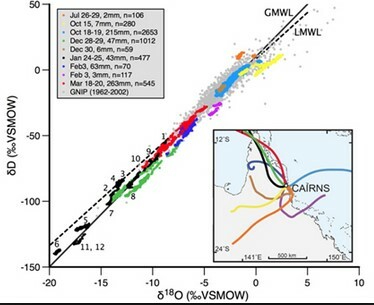 Recently, the impact of man’s emissions of greenhouse gases into the atmosphere has introduced another climate forcing perturbation to the biogeochemical system. Sources of greenhouse gases to the atmosphere are now outstripping the sinks. Consequently, atmospheric concentrations of greenhouse gases over the last two hundred years have risen. 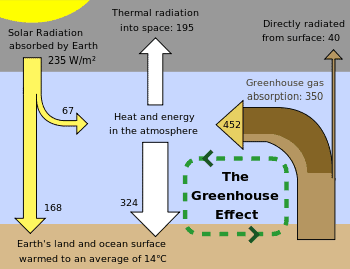 In the following sub-sections, the sources (both natural and anthropogenic) and sinks of the greenhouse gases are reviewed in the context of contemporary climate change. Particular emphasis is placed upon CO2 and its role in the global carbon cycle.